Stephen Street office space is located in the Fitzrovia area in London and is close to Goodge Street tube station. The glass-fronted ground floor is stunning in appearance and has a fully manned reception area to meet important visitors to the building. Within the Centre, the interior is ultra-stylish and boasts a range of funky furnishings in the building. Casual meeting rooms and lounges are on-site as well as common breakout areas too. With a selection of offices for rent, there is a choice of different shaped suites, which are available in all dimensions. Workstations come provided free to all offices along with the latest in telecommunication handsets. 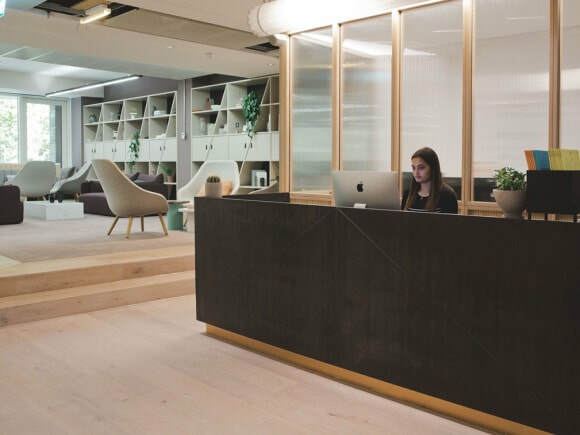 Internet access and phone points are already installed within the serviced offices and are easily connected via an IT support team. This non-corporate office space is popular with media and film companies as well as other business types.